How to keep your tax and financial information in order in preparation for unexpected disasters. 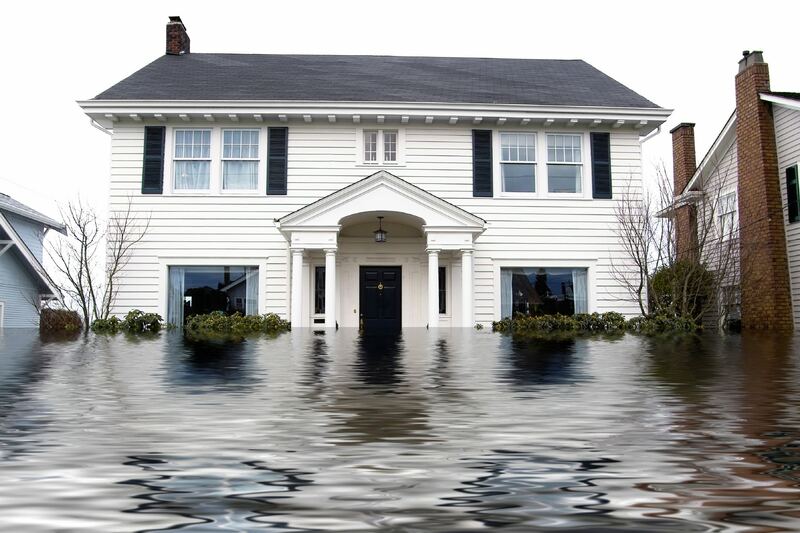 Homeowners—and renters alike—might be advised to purchase insurance against the possibility of loss or damage of physical property as the result of fire, flooding, a tornado, a hurricane or an earthquake. In addition to insuring personal belongings, however, it pays to take the necessary steps required to ensure the safety of—and ready access to—financial information that is necessary when preparing an income tax return. "We have gotten to a point that our whole lives are on our computers. The more that is electronic and not paper, the better off we are. But that also means we must remember the first three rules for any computer owner: back up, back up, back up." Keeping your financial information in order in preparation for unexpected disasters, is something that certified public accountant Kem Washington preaches. She should know. Washington, an instructor of accounting at Dillard University in New Orleans, experienced the devastation of Hurricane Katrina in 2005, losing her home to the flooding that occurred after the levees broke. The cornerstone of disaster preparedness—whether for a home or a business—is keeping your comprehensive financial information ready to take with you in case you need to make a quick escape, Washington says. “No. 1 is to have your disaster financial plan in place," she said. "That is, make sure you have all of your policy numbers, account numbers, insurance documents, titles, mortgage information, birth certificates and wills in a place ready to go if you need to evacuate. A small business owner who needs funds to float through the disaster’s aftermath and requests a low-interest emergency loan from the Small Business Administration will need the data in those returns, because the agency requires the prior three years’ tax returns, said Washington. In the event of a disaster, the IRS will provide copies of prior returns free of charge if you file Form 4506, but it may take longer than is convenient. Washington also advises making a list of all your personal possessions and their appraised values so that if you need to account for your losses you have the information. She suggests checking into resources such as the Insurance Information Institute’s knowyourstuff.org, a website where—for free—visitors may create an inventory of their possessions and list the value of each item. Taking all the necessary steps to create copies of essential documentation may prove to be a waste of time if you do not store them safely. Major office supply stores offer fire-proof, water-proof, hand-carried safes for protection of paper documents and electronic data. The proper medium for saving financial information is a matter of personal preference. If you tend to be a predominantly digital person, keep this data on a USB memory stick and backed up via a cloud server or external hard drive. Just make sure it is stored at a second location, emphasizes Sandy Zinman, founder of Zinman Tax Services in White Plains, New York. Zinman believes most people in the United States already use a computer as the primary storage place for their important data. He advises his clients to use computers to preserve their financial data. In the event of a fire, storm or even a burglary—whenever you need to make a quick exit—you’re not going to have time to grab everything unless you have it digitally stored. “Every tax return should be scanned and saved electronically, and redundantly saved. It’s really what everyone should be doing,” Zinman said. And although he believes a computer is the best place to store financial records, he acknowledges that opting to go fully digital necessitates having electrical power—something that can be absent in a disaster’s aftermath, perhaps for an extended period of time. Accounting for disaster losses in tax filings can get quite complicated, and most experts advise seeking professional assistance. At the least, use tax preparation software. Refer to "IRS Publication 2194, Disaster Losses Kit for Individuals and Businesses. The mention of casualty loss deductions brings Washington full circle to her first disaster planning rule: keep your financial data organized and at hand. “You can amend your prior year’s return," Washington said, "but you will need your info from the prior year, and the key is to have that in place before you head out." Because your personal financial records may be essential for tax purposes, obtaining federal assistance or filing an insurance claim, the Internal Revenue Service provides some suggestions for reconstructing your records if they are destroyed and proving the value of lost property. These ideas should be your last resort, as financial experts recommend compiling this information before a disaster. If you are unable to obtain a copy of the purchase contract, the IRS recommends using “newspaper ads for the period in which the vehicle was purchased to determine cost basis.” Also, auto dealerships and websites such as Kelly Blue Book can be used to provide the fair market value at the time the vehicle was destroyed. The IRS recommends drawing a floor plan of each room, including kitchen, basement, garage and attic, and drawing the furniture placement within each room. Draw shelves with memorabilia on them. The agency states the drawings “do not have to be professionally drawn, just functional.” Then, to establish costs, refer to old catalogs, local newspapers and credit card statements. A second alternative is to make a video recording of your possessions and store it at a separate location. For inventories, get copies of invoices from vendors. Use copies of bank statements to show deposits that should reflect what the sales were for any given time period. Sketch a drawing of the physical building, rooms and equipment, just as for “Personal Property.” A video recording is also a great way to document your business records.